The Scott Kinabalu is an extremely comfortable shoe, cushioned with 29mm of Aero Foam+ at the rear, making it ideal for those who like longer races and offers a bouncier feel to your run. The 8mm heel drop and the unique eRIDE midsole geometry is designed to increase efficiency, and the shoe certainly feels fast despite coming in a bit heavier than some of the competition on the market at 320g. This is also definitely a shoe for harder, firmer trails as the lugs aren’t particularly deep and won’t be great at eating through mud. It's a surprisingly responsive shoe for something that looks a little bulky. Ready for rock and drier conditions – think alpine. 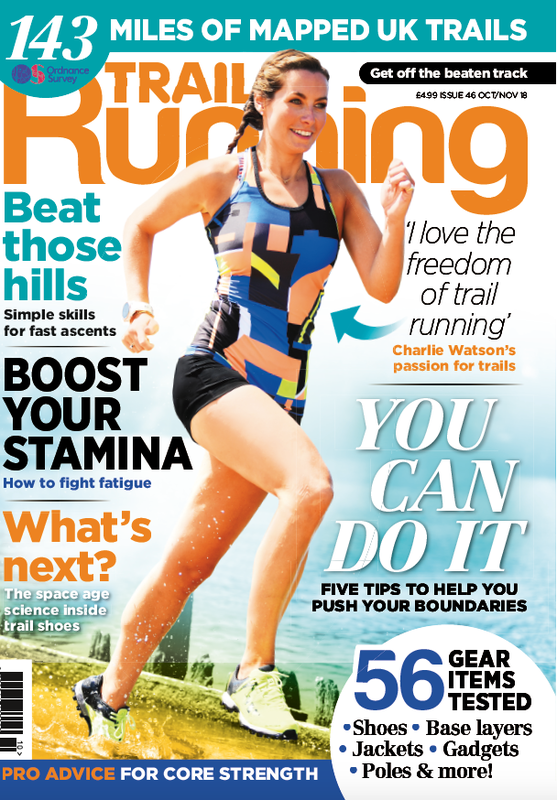 See the August-September issue of Trail Running out on July 12 for our more all-rounder trail shoe reviews. From the hard knocks school of running, the 910v4 is solid feeling – the type of shoe that enjoys serious mud and nasty conditions. Given the shoe's rigid feel, it's best suited to controlled, steady running rather than racing or pace work; but for everyday running it's just fine. Solid feeling initially, but quickly loosen up. A solid all-rounder is the perfect way to describe this lightweight, supportive shoe. Packed with plenty of extras – including a rock guard outsole with an impact brake system and breathable mesh upper – the Lycan provides a solid, secure feel in most running conditions. Perhaps best at home on solid trails, the grip is good on all but the slippiest of surfaces and you’ll also notice the support provided. To some it might feel a little unforgiving, but to others it will feel like a robust, hard ride. The 6mm heel drop is quite competitively low for a La Sportiva shoe, but it doesn’t feel tough to get on with. The UTMB tag suggests these are tough, uncompromising beasts. Tough they may be, but they’re also very soft and cushioned – happy on solid paths, but also ready for off-road action. The FluidFoam technology provides a soft and supple ride, while the grip is perfect for everything from canal paths to dry mountain tracks. The uppers are suitably abrasion-proof and there’s a slimline, racing-shoe feel to the fit. 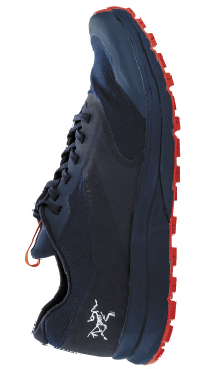 Given the UTMB approval stamp, the Caldorado III is perfectly happy tackling rocks, roots and uneven ground. Its armoury even includes a rock plate in the forefoot, with an 8mm heel drop. Road-friendly and capable of tackling the toughest trails. These shoes are comfortable out of the box, with a fairly soft and cushioned ride. The outsole also gives good grip on a range of surfaces with a mix of tread and sticky rubber to give some versatility. That touch of softness to the midsole means that on firmer ground the shoe has a forgiving feel to it. This is matched by an upper that is comfortable and yet secure. The ride of the midsole having that slightly plush feel to it does mean the responsiveness is slightly compromised as a result. There's a 6mm heel drop, and if you've worn Scarpa before you'll be pleasantly surprised by the softer, more flexible feel of this latest model. Soft ride, placing comfort above responsiveness. With a toe box designed to give your toes room to spread more naturally, it isn't a surprise that the forefoot of the Peak 3.0 is roomy. But Is it comfortable? Yes. Does that sacrifice some precision and the sense of a secure fit? That’s a yes as well. On more even ground that’s not a problem. The grip is good with the stickiness giving you more confidence. This is combined with a midsole that offers good cushioning and guidance. In keeping with the desire to have a shoe that allows your foot to behave more naturally there is zero heel drop, which does mean the Peak 3.0 can be tricky to get used to. Natural feel with a good midsole, but not fully responsive. very comfortable and effective trail shoe. The upper looks very simple but the fit is very good, and the comfort matches this. You get a grippy outsole that works on a fair range of terrain, in particular harder ground and slippery surfaces, and is combined with a midsole that offers a smooth and comfortable ride. While this isn't a lightweight shoe, there's a well cushioned midsole that comes with a 9mm heel drop. Fans of the brand will appreciate Arc'teryx's move towards more competitive running shoes. Good cushioning and ride – will log plenty of miles. These shoes are comfortable from the off. 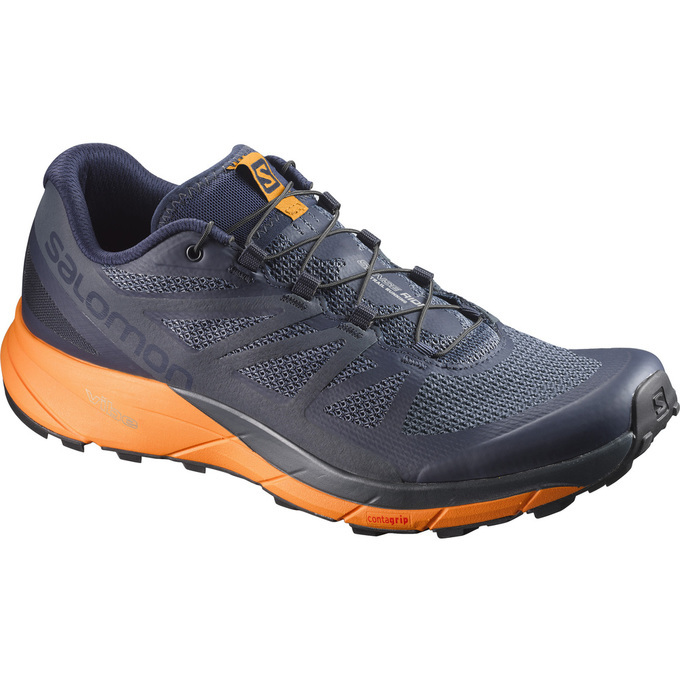 Anyone used to Salomon shoes will have already taken into account the need to buy half a size larger than normal, and the fit is very good throughout the foot once this is factored in. The ride is comfortable with a good spring to it that, when combined with good flexibility, adds to a responsive ride – including for faster running. The grip is good on most terrain – although not so much for the mud – and adds to the feeling that this shoe can cope with a wide range of trails. The 8mm heel drop is easy to get used to and helps make the Sense Ride comfortable with pace work. Comfortable and responsive on a wide range of terrain. Fast, light and responsive. Excels on long, technical trails. Lightweight, cushioned and fast draining – great for long runs and puddles. Designed for trail running and obstacle course racing – and worn by OCR world champion Jonathan Albon – the Irock 2 from Finnish company VJ Sport is a grip specialist. With a butyl rubber outsole and deep, well-spaced lugs, it clings to trails, grass, mud, rock and road, whether it’s wet or dry. The Fitlock lacing draws the shoe around the foot for a snug fit. We found the forefoot a bit too narrow, however, and the heel not quite fitted enough – definitely worth trying before you buy. There’s enough cushioning to be comfortable running on roads and harder trails. 6mm drop. VERDICT: Super grippy on all terrain. Very narrow, particularly in the forefoot. British sports brand More Mile has designed the Cheviot 3 firmly with muddy fells in mind. It’s a straightforward design, with close-weave single-piece uppers and good toe/heel protection. The sole is very aggressively lugged – in fact, we’d challenge you to fall over in any conditions wearing these – so it’s not suitable for anything other than the softest terrain. It also feels quite hard on your feet, so not ideal for longer distances – but at £30 it’s great when you need all the grip you can get. The sizing’s small so you may need to go up half a size. We like that More Mile are dedicated supporters of grass-roots sport. 6mm drop. VERDICT: A great-value basic shoe that’s made for the fells. 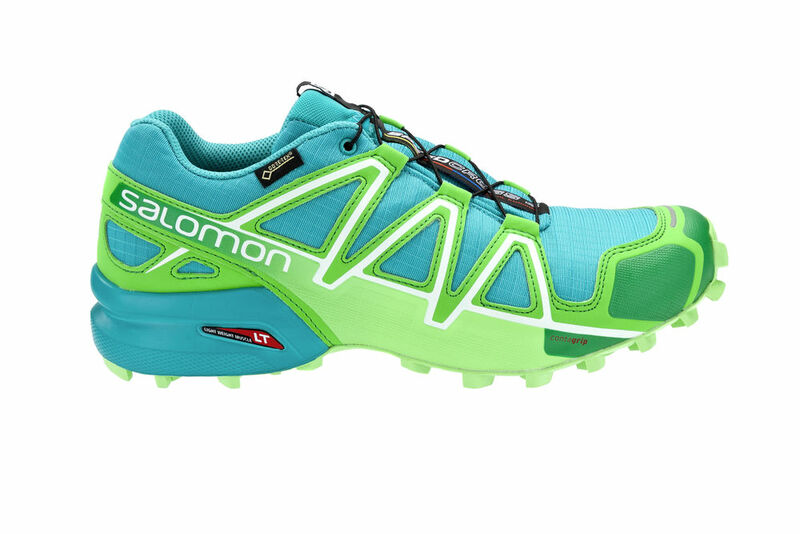 If you’re after a shoe for serious racing or a fast fun in the fells, this is for you. Light and responsive, the superb X-Talon 212 is perfect for those wanting to speed their way over rough terrain. Its foot-hugging fit is comfortable as well as brilliant for fast running on technical trails. The 8mm sticky rubber studs are super-grippy, allowing for high-speed cornering and contouring even on the muddiest of hills. It also sheds mud and water well and offers excellent foot protection. Surprisingly for a shoe that’s so obviously designed for the fells, it’s even comfortable and grippy on the road. 6mm drop. VERDICT: Superb grip, highly responsive and great comfort. A top fell shoe. This is a specialist shoe for running in snow and ice. Underfoot, a grippy Vibram ice track sole provides traction, and the midsole provides a moderate level of cushioning with a neutral 6mm drop. The upper has been designed for winter use, with a comfortable quick-laced inner shoe and an integral water-resistant Outdry gaiter. The two-layered upper creates a warm and protective shoe. It’s expensive but essential for racing or training in extreme cold. The Neutron has a roomy fit, allowing you to wear thick socks without compressing your feet. It’s at the heavy end of the test, but feels good on the feet and nice to run in. VERDICT: An awesome pair of shoes if warm, dry feet are a priority. 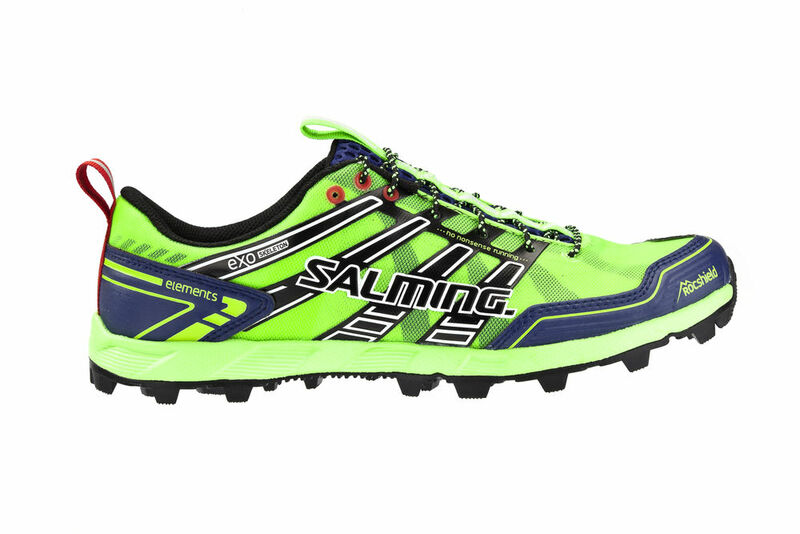 Swedish company Salming has produced a lightweight and grippy shoe designed to allow you to run anywhere. The twin-skin construction combines a light, soft and breathable layer against the foot, with a more protective mesh outer, adding reinforcement around the heel, toe and instep. The lacing tightens to cradle the foot and create a stable but comfortable shoe. 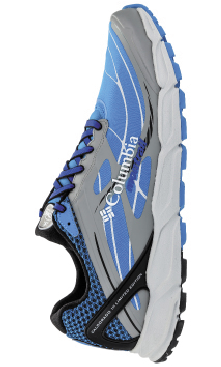 The deep studs provide excellent grip, and the low-profile Runlite midsole provides adequate cushioning. The toe box is generous for a shoe this technical, making it excellent for longer distances, where comfort and precision are key. 4mm drop. VERDICT: A lightweight, super-grippy technical running shoe with a generous fit. 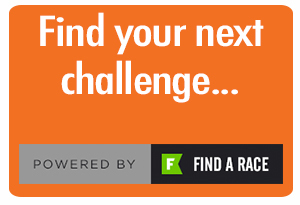 works well for longer-distance mountain running. VERDICT: A tough and dependable long-distance mountain-running shoe. 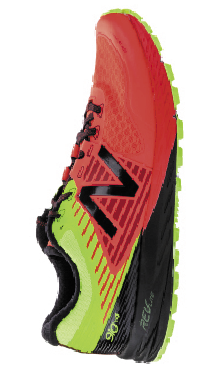 The Speedcross 4 manages to deliver top-notch precision and grip in a super-comfortable, protective shoe. The aggressive lugs give superb traction on muddy and rocky terrain, whether you’re climbing, descending or contouring steep hillsides, yet the ride is smooth and cushioned enough for hard-packed trails. The only conditions it’s not great in is on wet, slippery rocks and roads, as the rubber’s not as sticky as some on test, and if you’re running through water the padded upper means it doesn’t drain quickly. But for an all-round off-road shoe – anything from a 5k to an ultra – they’re hard to beat. 10mm drop. VERDICT: Protective, cushioned, grippy and comfortable. A great all-round off-roader. 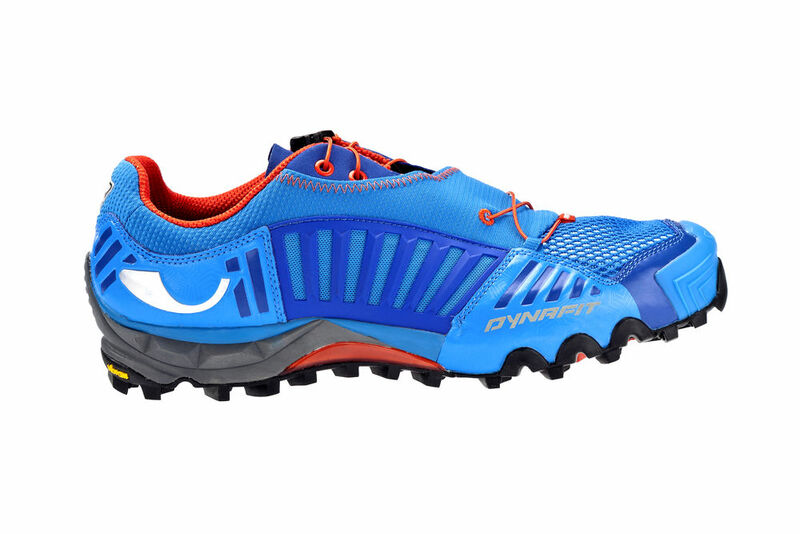 A futuristic-looking shoe that taps into Dynafit’s ski heritage, this is a precise-fitting mountain-running shoe. The Vibram outsole is designed to offer great grip on any terrain, but excels on rock and snow. The sole unit has an 8mm drop and enough cushioning to allow you to race down long technical descents with accuracy and comfort. The upper is lightweight but still includes tough toe bumpers and a quick-lace system, which hides under a grit gaiter. The shoe has a standard volume but a narrow toe shape and a low heel; it could benefit from an extra lace hole to hold the heel more snugly. 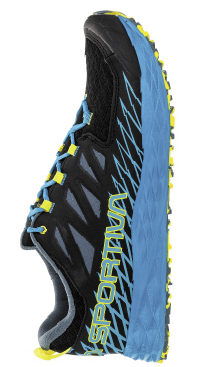 VERDICT: An exciting, technologically-advanced mountain running shoe.